The NFC Championship Game between the New Orleans Saints and Los Angeles Rams should be one for the ages. Los Angeles are returning to the title game for the first time since 2001 - when the team was in St Louis - and the Saints are hoping to have a repeat of the 2009 season, when they won the Super Bowl. 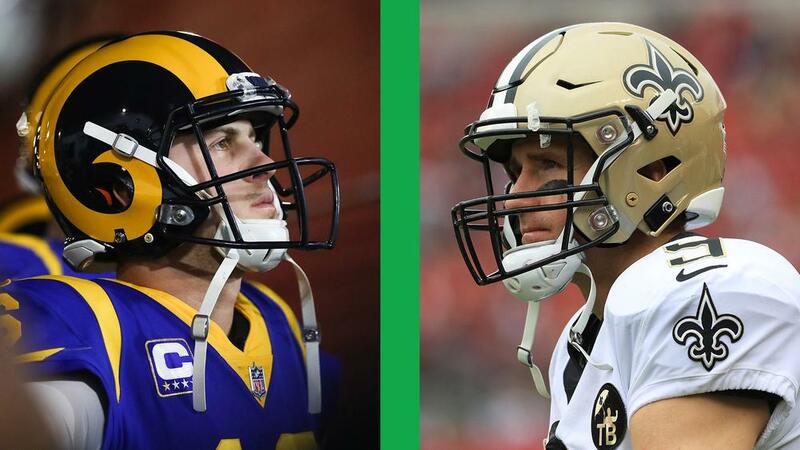 The game is bound to be an all-around battle, with veteran quarterback Drew Brees at the helm for the Saints and third-year QB Jared Goff leading the Rams. Here, with the help of our colleagues at Opta, we take a look at 10 statistics ahead of the game. - This will be the second playoff meeting between the Saints and Rams, with New Orleans winning the first, 31-28, in 2000. New Orleans beat Los Angeles earlier this year, 45-35, at home. - The Saints’ 20-14 win over the Philadelphia Eagles in the divisional round was their seventh consecutive win at home in the playoffs. Their last home postseason defeat was in 1993. - This will be the Rams’ sixth appearance on the road in an NFC Championship Game. They are 1-4 in previous such games, with their lone win coming in 1979. - The Saints gained 25 first downs against the Eagles, 10 of which were on third or fourth down. They are only the sixth team since 1991 to have better than 50 percent third-down conversion rate while completing multiple fourth-down attempts. - The Rams gained 273 yards rushing against the Dallas Cowboys last Saturday, the most in a single game since the San Francisco 49ers had 323 against the Green Bay Packers on January 12, 2013. - Last Sunday against the Eagles, Saints wide receiver Michael Thomas became the first player since T.Y. Hilton in 2014 with 12-plus catches and 170-plus receiving yards in a playoff game. - The Rams’ Todd Gurley and C.J. Anderson are just the second pair of running backs with 100-plus rushing yards in the same playoff game since the start of the 1977 season. - Saints running back Alvin Kamara is just the third player in history to record 150-plus all-purpose yards in a playoff game in each of his first two seasons. - Rams linebacker Dante Fowler had his third sack over the last two postseasons on Saturday. No player has more in that time. - Saints quarterback Brees is averaging 322.1 yards per playoff game in his career, the fourth-most of any player with 150-plus postseason passes.